Oh! How we all desire a trim tummy and a slender physique. In the endeavor to reach this desired frame, many of us exercise relentlessly and eat cautiously. 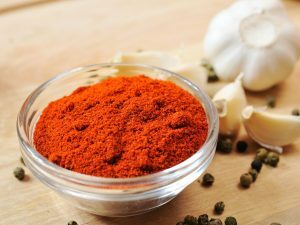 Apart from this, there are also certain foods that have a miraculous effect on the body. Sounds great, right? Read on to know about one of such kind of food that can flatten your tummy by consuming it at the right time of the day. 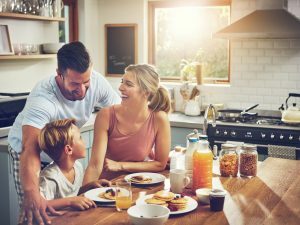 Breakfast is the most crucial meal of the day as it the first meal comprising of nutritious ingredients to fuel our body to carry our vital bodily functions. According to the recent research, it has been studied that consuming breakfast regularly also helps to slim you down. However, it is important that you plan your breakfast well and not just consume heaps of carb rich ingredients first thing in the morning. 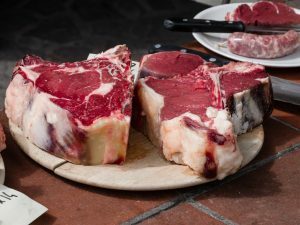 A platter filled with fattening preparations under no circumstances will trim you down and rather does the opposite. 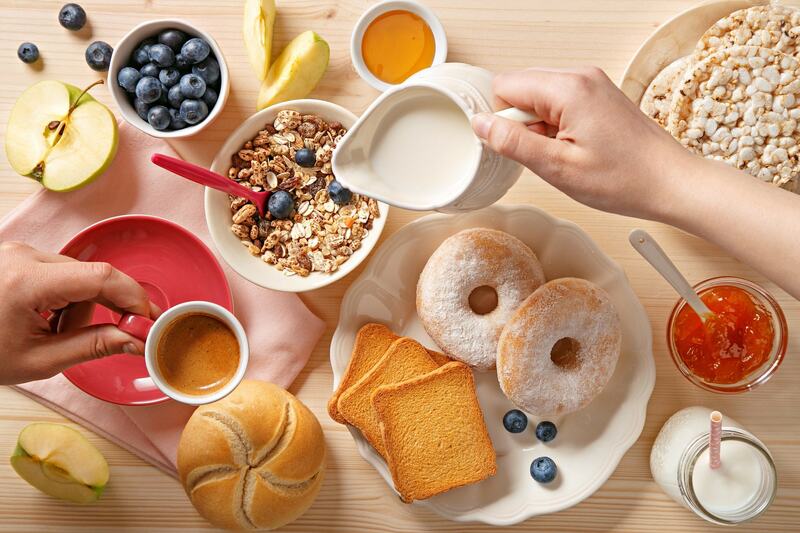 So, a balanced and healthy breakfast meal consists of a mix of carbs, proteins, fats, fiber, and antioxidants. Not only does this combination of nutrients meet your daily morning nutritional requirements but also fills you up well enough until the next mid-morning meal. Coming back to that one food we must consume in the morning hours to get a flat tummy, eggs are the food that should be our morning staple. Eat whole egg every day and not just the whites, as the yolk of the egg contains a good amount of biotin, which is a protein that helps you to feel full and satisfied through the better part of the day. 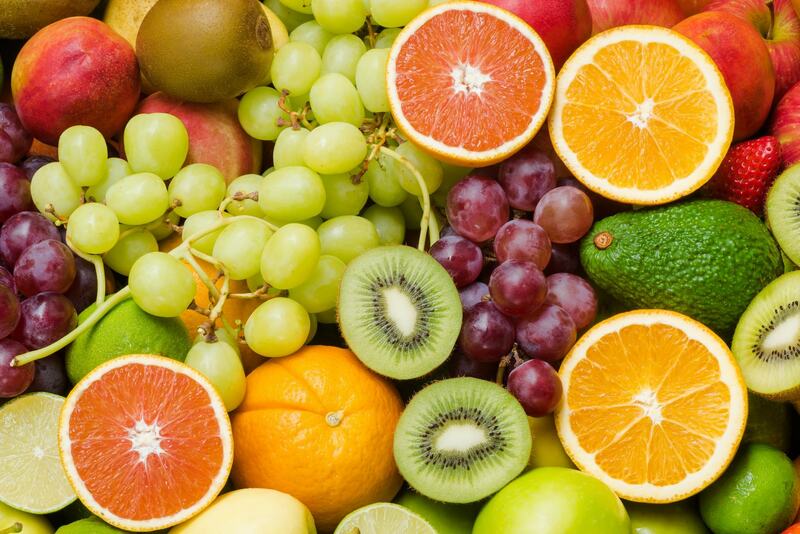 This is of utmost significance as consuming a filling meal helps to reduce the craving to munch on some quick to grab, but extremely fattening, carb rich snacks. These reduced temptations of eating unhealthy food at untimely hours will certainly result in a reduction of body fat and a flattened tummy. 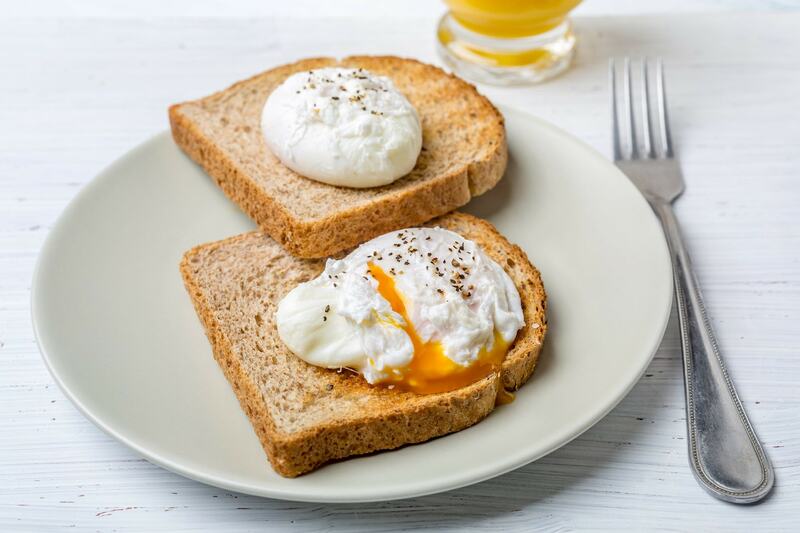 To enjoy a healthy and balanced breakfast meal, try pairing up these supremely nutritious eggs with a whole wheat slice, sautéed or blanched green leafy veggies, and a bowl of fresh fruits to start your day. This combination will definitely take care of all your nutritional requirements that have been discussed earlier and helps to keep your waist line in check. 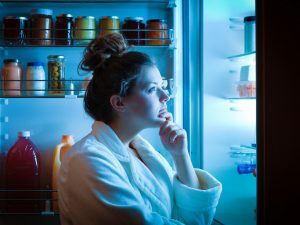 However, you may try one bowl meal preparations or various other food recipes that can be pre prepared to save your cooking time, in case you face time crunch in the morning hours. In short, make no excuse to not have a flat tummy, and a healthy and productive morning each day! 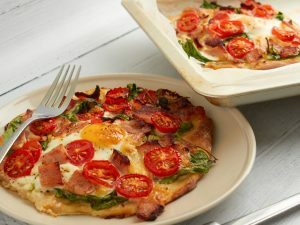 Egg and Bacon Breakfast Pizza: the recipe with a secret ingredient in the dough!